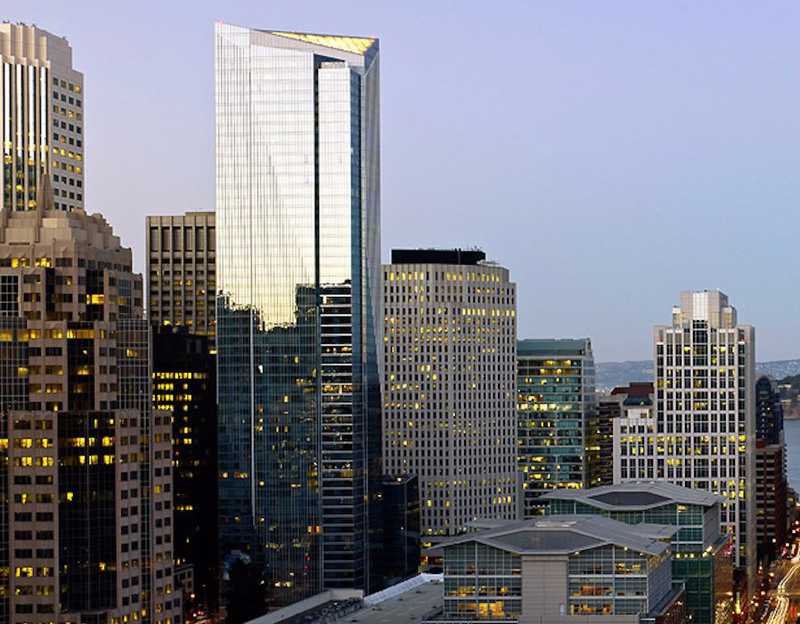 San Francisco’s sinking Millennium Tower may be less safe than previously thought, according to a new report by NBC Bay Area. The Handel Architects–designed tower, already the center of several lawsuits, could be exposing residents to a widespread fire risk owing to newly-formed gaps between the building’s curtain wall and structure. As previously reported, the 58-story, 645-foot-tall residential tower has already unevenly sunk 17 inches since opening in 2009, due to a foundation of concrete friction piles that extend 60 to 90 feet into the sandy soils below. After condo owner Paula Pretlow hired Palo Alto, California–based consultants Allana Buick & Bers to locate the source of mysterious odors in her unit in December of 2016, they discovered that the smells were likely coming from gaps that had opened up due to the building’s settlement. More important than the odors, however, the newly enlarged voids under the curtain wall would allow fire and smoke to climb upwards via a “wind tunnel” effect, similar to what happened at London’s Grenfell Tower earlier this year. However, in the final version of the report given to Pretlow, Allana Buick & Bers had blacked out their fire-related findings. Although the building consultants’ analysis was confined only to Pretlow’s 31st-floor unit, they indicated that the issue could be present throughout Millennium Tower, according to the un-redacted version of documents obtained by NBC Bay Area. Pretlow fought for a year with Allana Buick & Bers for the unedited version of the report, which was only recently obtained. Now, after Pretlow had filed a new complaint to the San Francisco Fire Department, the fire marshal is scheduled to make a fresh round of inspections at the tower this week. In light of the new findings, an attorney for the homeowner’s association has released a statement saying that several facade panels have been removed recently so that engineers could inspect the underlying structure. Larry Karp, a geotechnical expert, told NBC Bay Area that as the building tilts and continues to sink, curtain wall sections would continue to bear an increasing amount of stress and bend further out of place.